The stronger the foundation, the stronger and safer the building will be. Any structural damage or defect can cause the whole building to collapse one day. 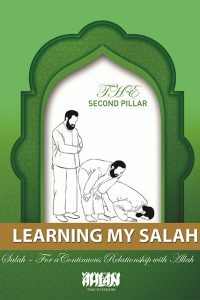 Salah is the cornerstone of Islam and its second pillar. A person’s Islam is incomplete unless they perform Salah. Salah derives from the Arabic word Silah, which means connection, because it connects the humans with their Maker and draws them closer to His Mercy. Salah, therefore, is your private contact and communication with the Originator of life and the Creator of everything—Allah. He, the Exalted, has enjoined it upon you to bring you closer to Him daily. Salah in Islam is the foundation; when performed regularly, it positively influences and transforms every thought, attitude, and action. Allah says in His Noble Book: “…and establish Salah. Indeed, Salah prohibits immorality and wrongdoing, and the remembrance of Allah is greater.” (Qur’an 29:45) In other words, maintaining regular communication with Allah provides you with guidance and success, fills you with strength and peace, and protects you from deviation and ruin.